As promised, one of our new feature segments is going to feature a most requested recipe, or perhaps a custom recipe debut. This segment will be posted around the beginning and middle of each month. My first recipe to share is one I found on a blog back in December. I wanted something fun to make for a baby shower dessert instead of cake or cupcakes (sooo over done). That same weekend I also needed a dessert to share for my staff Christmas potluck. This recipe was the perfect match - something i could make ahead in bulk and plate up as needed for the two parties. Unfortunately, I did not record where I found the recipe and when I tried to look it up again, I couldn't find it. So take note - this recipe isn't mine. I will, however, share some tips and variation at the bottom are are my own creation. Bake, rotating muffin tins halfway through, until the filling is set, about 22 to 28 minutes. Transfer the muffins tins to a wire rack to cool completely. Refrigerate (in the muffin tins) at least 4 hours (or overnight). Remove from tins just before serving. This is my ONLY photo of these! Okay, so I thought I had more photos of these.... Oh well. 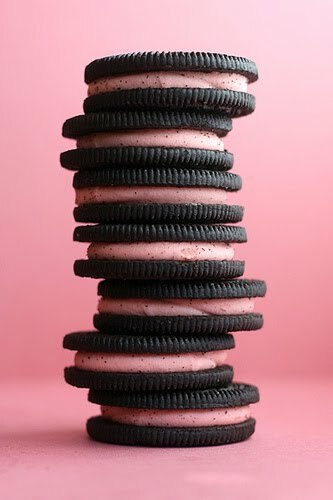 As pictured, I bought a package of mini oreos (in the lunch snack aisle) and used my mini muffin pan to make a truly "bite" size cheesecake. These were a hit at the lunch time baby shower. Originally I wanted to use the red Christmas Holiday Winter Oreos for our "Georgia" themed shower / Christmas, but Publix sold out of them the week of Thanksgiving. 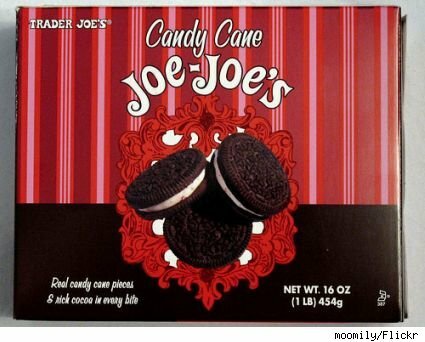 I also wanted to try making these using Trader Joe's Candy Cane Joe Joe's for a mint oreo cheesecake taste...again sold out before I thought of it! i made these before.. sooooooo delicious! !